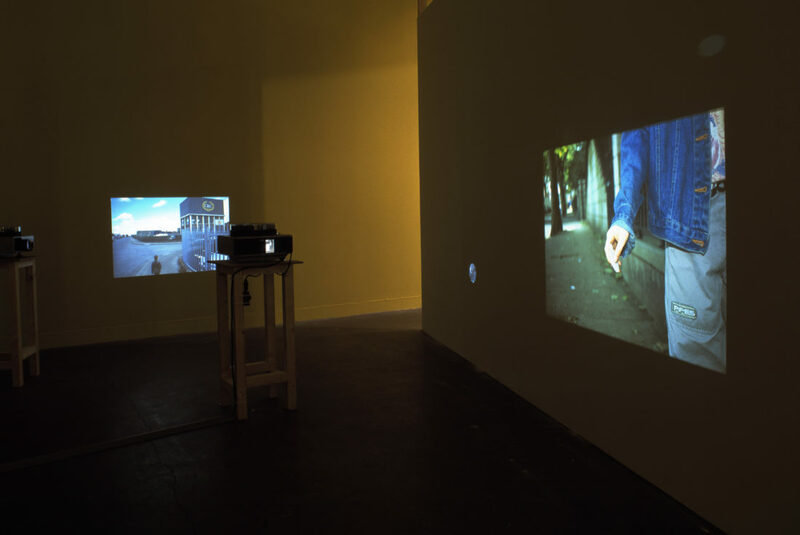 202 colour slides (35mm format) projected on three carosel slide projecters (unsynchronised ); various slide interval times; loop repeated continously. Sequences, Scenarios and Locations, evolved in various manifestations between 2003 and 2005 and comprises of three chapters: Part I – After Hänsel & Gretal, Part II and Part III – The Lost Photographs of Albert H, its three components. Taking the form of a photographic slide installation, Sequences, Scenarios and Locations employs both personal documentary material and fictive narratives. The photographic sequences, which are akin to film stills, follow a teenage girl acting out a motif from the Grimm fairytale where Hänsel unsuccessfully uses a trail of bread to find his way home through the forest. In Part I – After Hänsel & Gretal, the teenage girl is picking up ’host’-like paper fragments, cut from a drawing based on post-mortem photographs of the artist’s father, which stand in for the bread dropped by Hänsel. (The drawing is one of a series entitled the Correction Drawings, first exhibited in 2003, which involved a process fo trying to ‘correct’ the discrepancy between the photographic image and the artist’s memory of his father’s features. This resulted in the selective erasure of the pencil marks and then cutting out sections of the paper itself – the ‘hosts’.) This narrative in Part I is set in various Dublin locations associated with his father’s biography.